Rep. Demings sits on the House Permanent Select Committee on Intelligence (Subcommittee on Intelligence Modernization and Readiness; Subcommittee on Defense Intelligence and Warfighter Support), the House Judiciary Committee (Subcommittee on Crime, Terrorism and Homeland Security [Vice Chair]; Subcommittee on Antitrust, Commercial and Administrative Law), and the House Committee on Homeland Security (Subcommittee on Transportation and Maritime Security). Demings is a member of the Congressional Black Caucus, Women’s Caucus, and New Democratic Caucus. She is a member of the Law Enforcement Congressional Badge of Bravery Review Board and the Elections Security Taskforce. 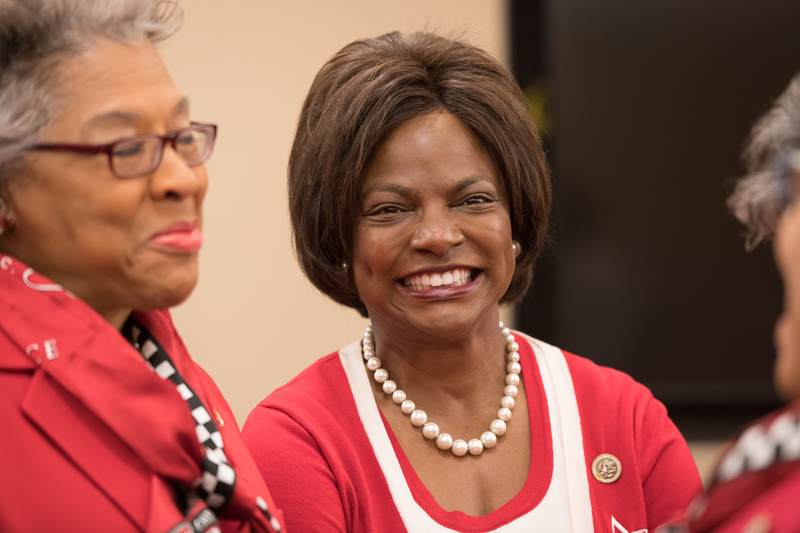 Besides serving as a Subcommittee Vice-Chair, Congresswoman Demings’ leadership positions include serving as Assistant and Regional Whip for the House Democratic Caucus, Co-Chair of Candidate Recruitment for the Democratic Congressional Campaign Committee, and Vice Chair of the Gun Violence Prevention Task Force.